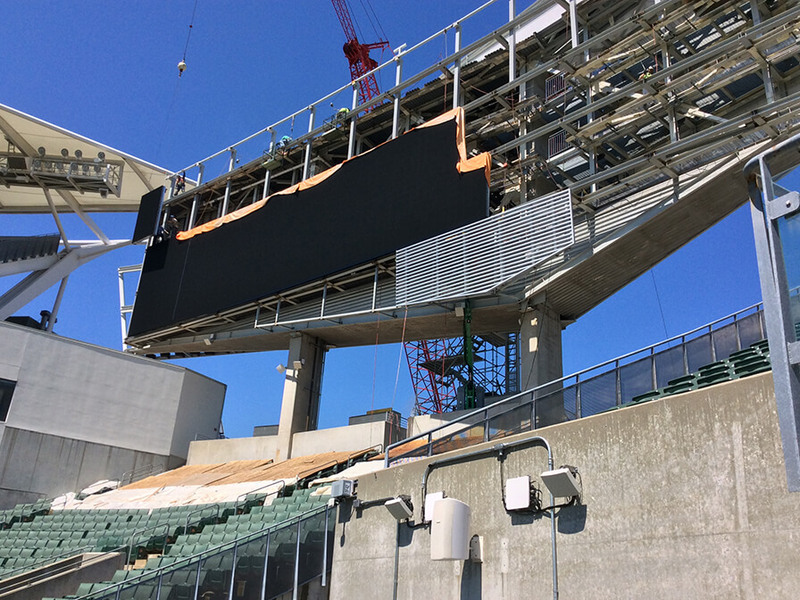 Demolition of the existing North and South end zone existing displays and mechanical equipment followed by structural modifications and installation of larger video boards (4,680 sf each) and louvers at both ends of the stadium. 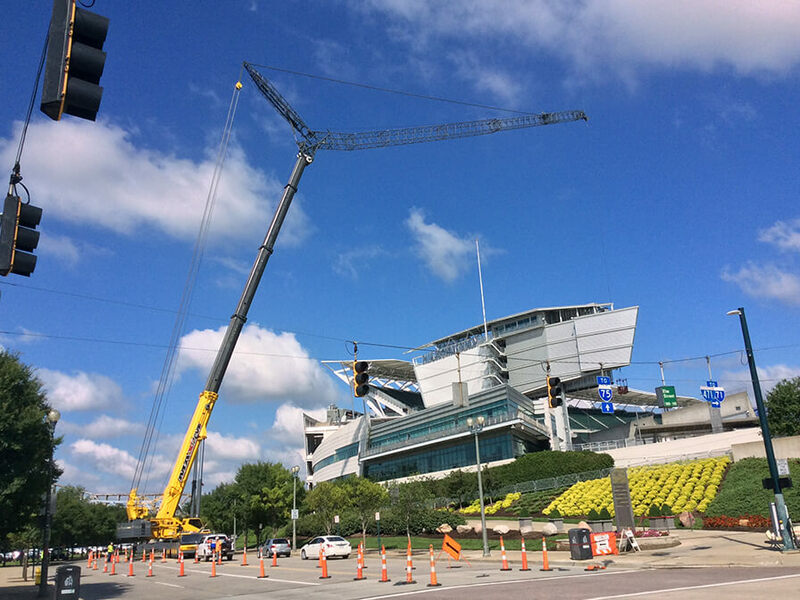 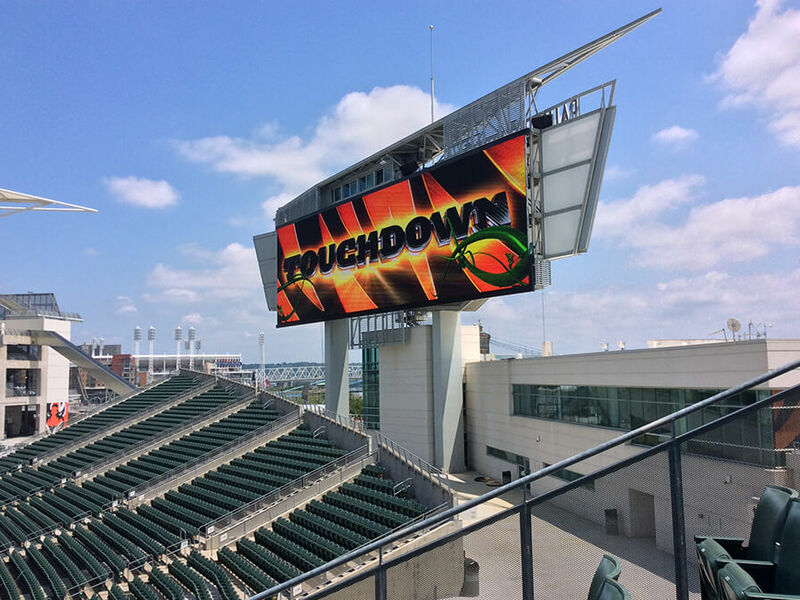 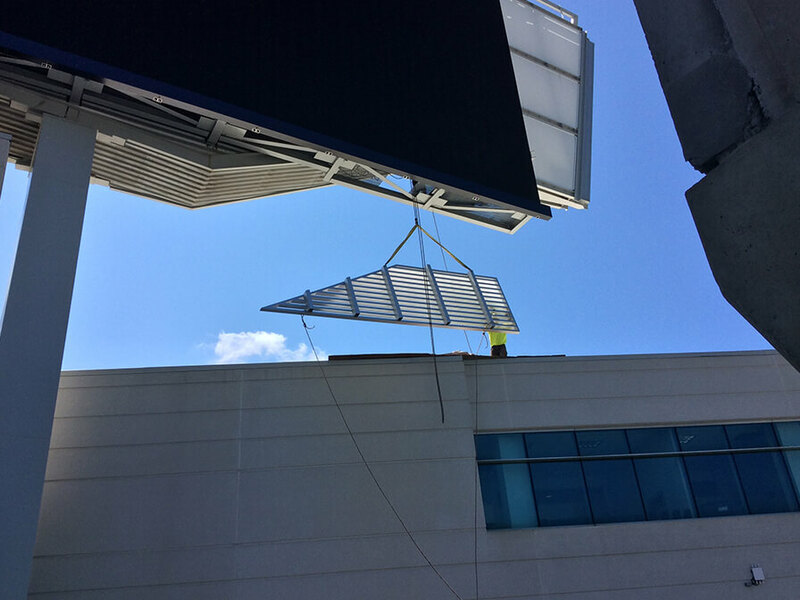 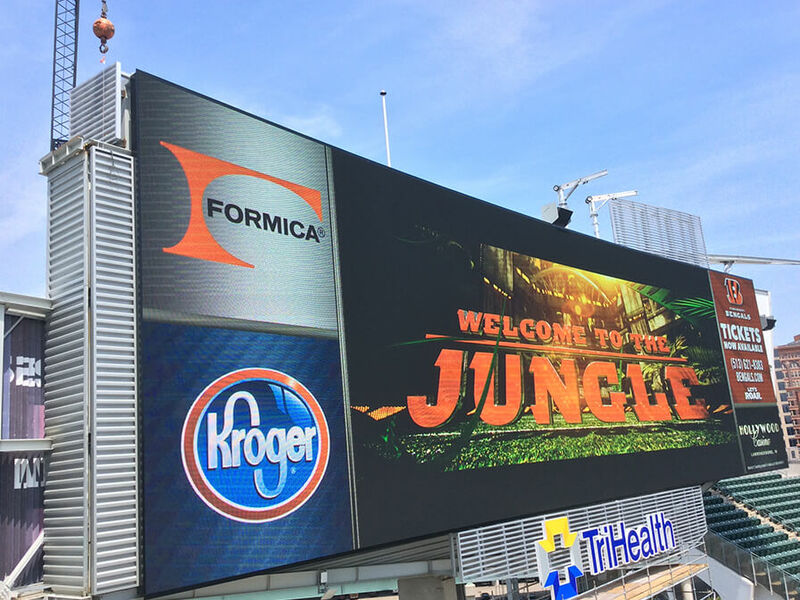 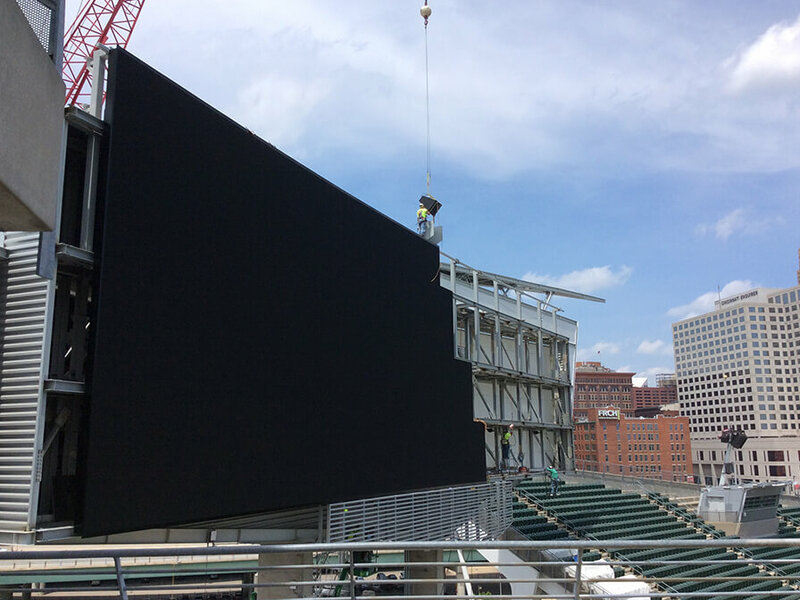 The North end zone work included additional support steel for the new radius video board, added catwalk levels, signage, louvers and rolling davit system. 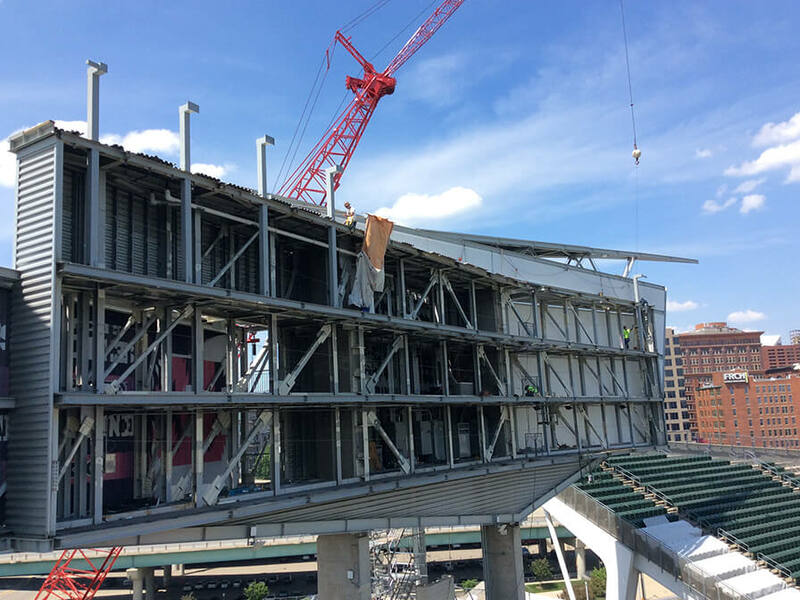 The South end zone structural work included a new catwalk level, reinforcing of the existing structure, louver and signage support and installation of the new flagpole. 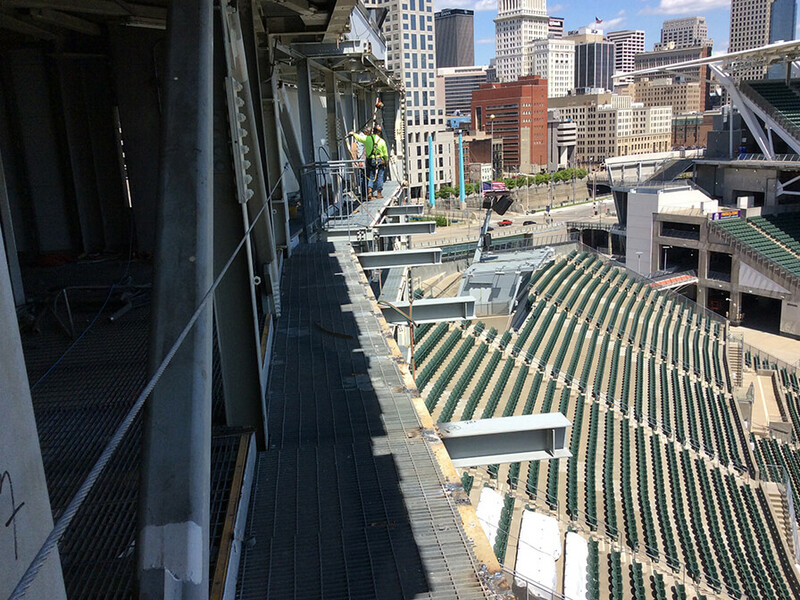 Also included was removal and replacement of existing speakers and installation of siding, shrouds and closures to provide a finished product.